In July and August 2018, the Quebec Gay Archives was honoured by two articles in Lien MULTIMÉDIA – le portail des professionnels du numérique. These articles covered “The Quebec Gay Archives at the Cinéma du Parc”, an event including both an exhibition of posters on HIV/Aids as well as a lecture and film showing. It was also the first media exposure for Alexis Baribeault, with both a profile of and an interview with the filmmaker. 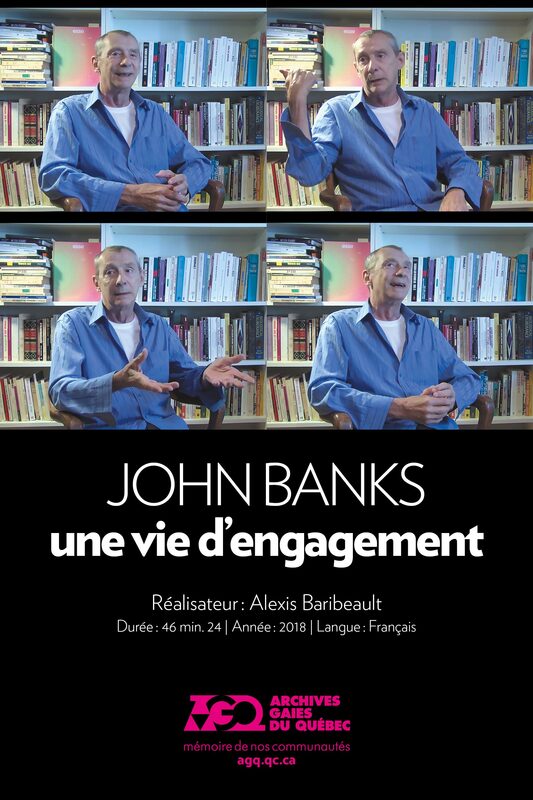 Alexis is the producer of “JOHN BANKS, une vie d’engagement” and was an intern at the Quebec Gay Archives in 2017-2018. Source: Archives gaies du Québec. All rights reserved. We welcome visitors to our reading room located at 1000 Amherst Street in Montreal, Suite 103. We are open to the public Thursday evenings between 7:30 and 9:30 pm, except during the summer and Christmas holidays. Please call or email us to make an appointment outside of these times.